Louis's Larder can deliver your order throughout the Derby and Nottingham areas and beyond. 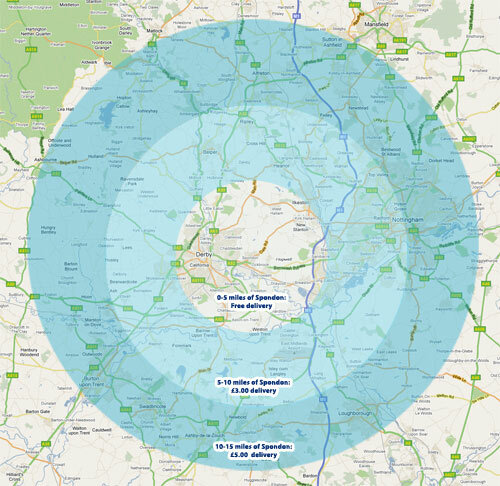 Over 15 miles from Spondon: Please call for a delivery quote. Our delivery areas are also shown on the map on the left. Please note that the shaded areas are approximate and for general reference only. Contact us today on 07793 061344 or email sarah@louislarder.co.uk for further details of our delivery service and to receive a free, no-obligation quote.